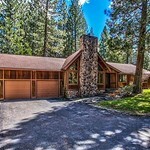 FeedBack ( 0) This custom cedar home offers stunning views and is just an hour from Reno and Truckee. Situated on over 3 acres of privacy, this 2 bedroom, 2 bathroom home boasts 2,135 sq. ft. of living space with expansive windows, ample natural light, warm wood beam ceilings and a wrap around deck that is ideal for entertaining. The two car garage, workshop and outbuildings provide well-needed space for the desirable mountain living activities that call. Family recreational opportunities abound in Plumas County and include several tournament golf courses, numerous lakes and mountain streams, all framed by mountain ranges that are ideal for hiking. Call for a showing today. See www.carolmurrayrealtor.com/ about this home. FeedBack ( 0) This is a "must see" mountain home in the heart of Graeagle. What an ideal location being within walking distance to the following: charming downtown, the championship Graeagle Meadows golf course, tennis courts, mini golf and horseback riding. 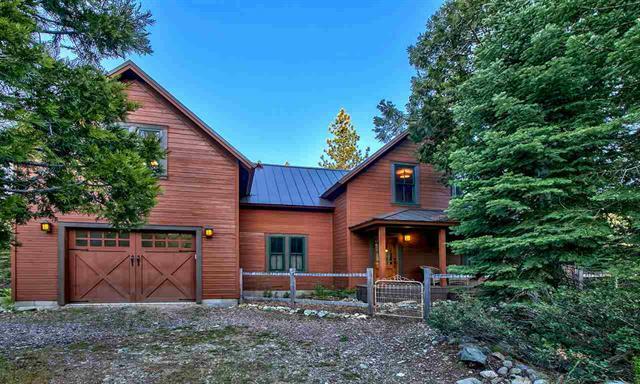 This home is situated among the cedar and pine trees and offers a fantastic backyard for entertaining. Walk inside to a welcoming great room with space for dining, visiting with family and friends and a bonus room with a pool table. See www.carolmurrayrealtor.com/ about this home/land. View photos of the property at [FILL_IT_IN] . FeedBack ( 0) Rare gem found in the historic mining town of Johnsville, in the heart of Plumas Eureka State Park. With hand-scraped hickory floors, granite countertops, solar electric, energy efficient geothermal and radiant heating and custom doors this home has it all! Sunlight fills the upstairs bedrooms, bath and expansive rec room. Relax on one of two covered porches, enjoy the sounds of Jamison Creek, views of Eureka Peak or be able to hike, golf, fish, swim, snowshoe, etc., all within minutes of your front door! See www.carolmurrayrealtor.com/ about this home. Situated along the Feather River and just a short country road drive from Graeagle, Blairsden is home to several great restaurants and a fabulous bakery and historic inn. This little town also hosts the well-known street dance during the Independence Day weekend festivities. The above snippets use Enfeedia's "Super Simple Syndication" eliminating the need to upload any scripts to syndicate feeds. You can explore syndication methods by going to the Enfeedia home page and selecting the "Promote/Syndicate" menu item. You will learn how to fully customize the presentation of the feed on your website. For this feed, use account name carolmurrayrealestate and then select feed blairsden.